At the risk of being tarred with any sort of politically incorrect shaming brush, let's face it, Finland's Jessica Wolff looks the part. All tousled and teased, and that's just her hair styling. Aside from her involvement in martial arts and stunt work, music is just one of the many strings to her bow, and if that bow was a guitar, it would be a twelve stringer – probably a double neck too – and were it a cricket bat, she knows exactly how to hit the sweet spot too on an album that hits the bullseye. Given she's such a multi-talented multi-tasking lady, she'd probably turn her hand to archery and be an instant success at that too. 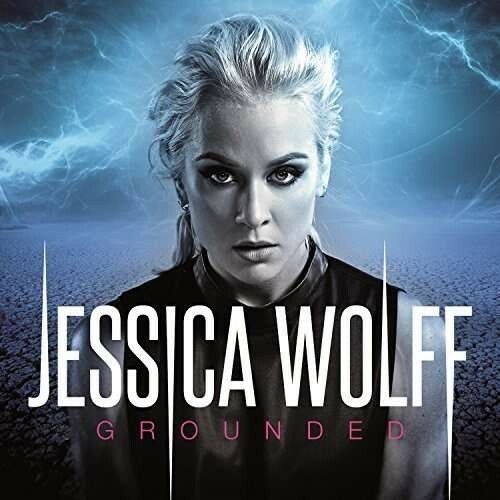 Her second album, 'Grounded', is full of up-tempo, contemporary Pop Rock with its feet firmly planted and straddling AORland and MORland – standing tall, polished and proud. The declaration – maybe not intentionally autobiographical – that she'll always be a little troublemaker, a reckless child and a renegade never satisfied, doesn't sound too far from the mark. She may not be a radical player, but someone who flirts with danger by doing maybe 32 in a 30mph zone. It is obvious that the sequencing has been given some thought. 'Chase Me Down' is the pick of the opening barrage with a hard to resist chorus, although the feminists might baulk a touch at the lyrical tone. Four songs in and there's a shift of focus (can't you just hear "we're gonna take things down a little now") with the grand power piano ballad 'Under Your Spell'. For a moment, just a moment, a sense of breaking into something from 'Frozen' surfaces, before it's thankfully banished to the depths. 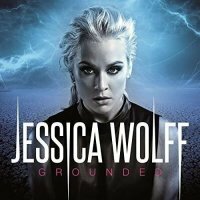 The sequencing includes the mid-album lull as 'Grounded' and its Euro Electronic Rock Disco charge, along with the Power Pop of 'Roots' that follows, struggle to maintain the initial impact. Another interval of sentimental sumptuousness and the interest begins to wane; the candlelight that would surely be part of any soft-focus video for 'Saving Someone Else' might be flickering and pleading for extinction at this point with the prospect of 'Love Me Like You Never Did Before (Album Mix)' lying on the road ahead. Not really cutting edge, more likeable in the same way that we now look back on Abba with a warm glow. No wrinkles or creases, no denim or leather, more like smart jacket and jeans Cabaret Rock.